in September and October , there will be another volunteer trip to take part in the recovery work in Galveston County from December 13th to 17th, 2008. The work will take place in San Leon, Texas, a small town on the coast that depends primarily on the devastated fishing industry for survival. 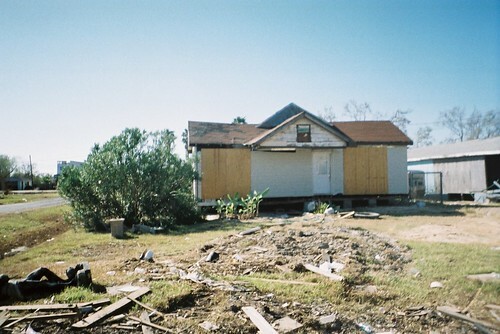 The Hurricane Ike storm surge severely damaged most homes in San Leon and the volunteer recovery projects will consist mostly of property clean-up and house renovation and gutting. Plans arefor a Toronto and area team to visit San Leon Texas in the second week of January. April and Andy are heading down there this week (Dec 11th) to meet a group of 12 volunteers from Georgia State University- The Vietnamese Students Association and we will be performing community relief work such as property clean-up, and renovations / gutting of flood damaged homes for primarily the Vietnamese American families who live there.The Georgia group is there from the 13th to the 17 of December and then we’ll return.In the second week of January, we also have tentatively booked another group of volunteers from the University of Illinois, approximately 20 students, to visit San Leon again. 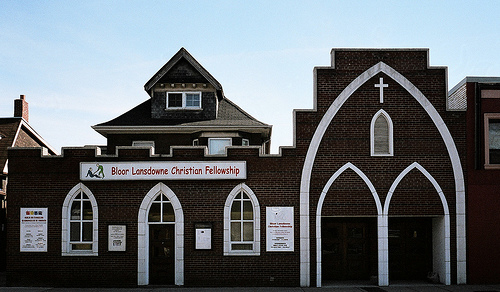 Many of this group have experience gutting out homes and other relief work in Alabama, Mississippi and New Orleans, Louisiana following Hurricane Katrina. Source NYTimes.com – A letter To the Editor: from FEMA about housing relief efforts following Hurricane Ike. Approximately 22,000 people displaced by Hurricane Ike sought and found FEMA shelter assistance. FEMA …has reimbursed them for expenses they may have incurred. This reimbursement program was scheduled to end last week, but was extended when it became clear that repairs and clearances for some homes would be delayed. FEMA is judging extensions on a case-by-case basis. Some could stretch into next year. – quoting Jonathan F. Thompson, Director of External Affairs, FEMA”. Andy Coats and Project417, who partnered with the Salvation Army and San Leon Community Disaster Relief for two weeks at the end of September, is retruning to San Leon with volunteer teams to help with the re-building. Many of the poorer residents of San Leon are stuck in a Catch 22 situation with repsect to their FEMA claims. Although they qualify for FEMA assistance grants to re-build their homes, the FEMA aid is dependant on the house foundations being raised at least eight feet above flood plain levels. In the case of one family Andy helped in San Leon, while the FEMA grant exceeds $25,000 – sufficient to repair the storm surge submerged home – it does not cover the cost of raising the home foundation the required height on pillars to be safe from future storm surges. As a result, no insurance company will issue a policy, and no mortgage can be issued without insurance. The result is three fold, FEMA will not pay the money without insurance on the home. The family can not afford the extensive repairs, and the home can not be sold, because no purchaser would receive a mortgage without the insurance. Project417 is seeking donations to adopt Texas families in similar situations, assist in the rebuilding to FEMA standards, and to raise volunteer teams to take part in re-building to reduce overall construction costs. Check back to the blog pages here for updates on the next planned volunteer trips in December and January. Share this page with your friends – Digg the story, and share it on Facebook.